The full moon is going to make an appearance early Christmas morning for the first time in nearly four decades. It’s been 38 years since we’ve had a Christmas like the one we’re about to have. Back in 1977, a full moon rose high in the sky early in the morning, and this year, it’s finally going to happen again, according to an ABC News report. And then it’ll disappear again for a long time, not showing up again until 2034. So enjoy it while you can. The full moon will appear bright and in all its glory just as kids are getting up to see what Santa brought. Its peak will be at 6:11 a.m. on Christmas morning. There are a lot of names for this full moon, the final one of the year. It is called the Full Cold Moon, the Full Long Nights Moon, and the Moon Before Yule. It comes when the nights are coldest and darkest, and as winter begins to get an icy grip on the Northern Hemisphere. 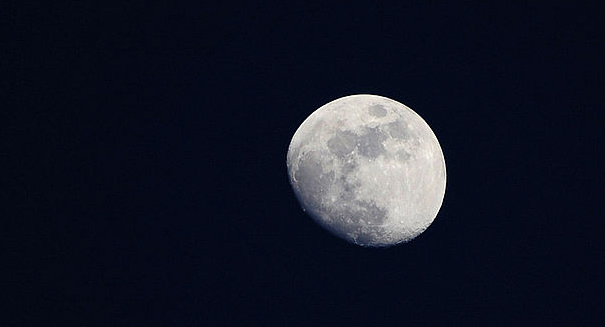 In December, the moon stays above the horizon longer, allowing better views later in the morning of this full moon. A full moon is the phase where the moon is completely illuminated by the sun from our vantage point. The moon must be in opposition to the sun, on the opposite side of the Earth just outside of our shadow so that it can collect the full volume of the sun’s rays. The full moon is quite a brilliant sight in the night sky, and a somewhat eerie one at that. Lunar eclipses can only happen when there is a full moon and the moon passes directly through the shadow of the Earth. Lunar eclipses don’t happen often because usually the moon isn’t aligned with the Earth’s shadow.